VISBY: CV and Cover letter - be attractive! 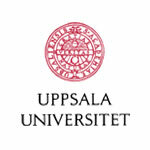 UU Careers comes to Campus Gotland with a seminar on how to write your CV and Cover letter. Om VISBY: CV and Cover letter - be attractive! What is the Employer looking for in your CV and Cover letter when recruiting? An effective CV/Cover letter will sell your skills and abilities to an employer and help you get an interview. During this workshop you will learn some of the basics of how to write a winning CV/Cover letter and how you can make your existing application more attractive on the Swedish labour market.